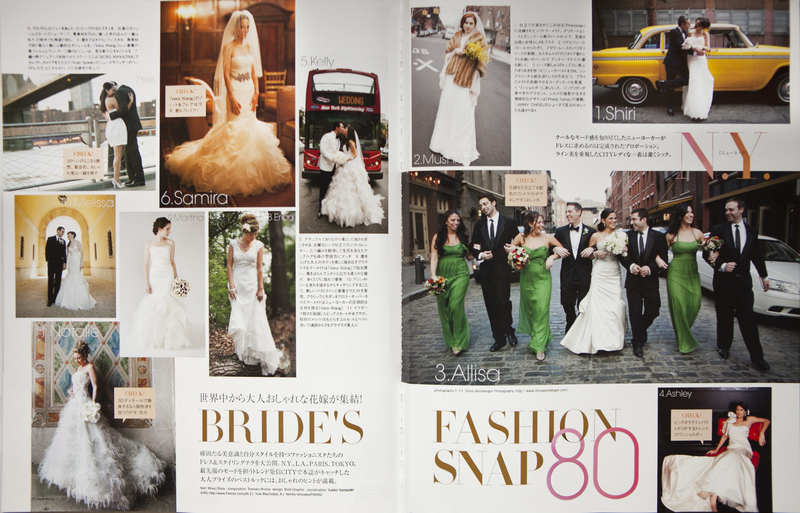 I am super excited that Japanese wedding magazine, Anhelo featured a full spread of my work in their Bridal Fashion SNAP 80 issue. The spread showcases portraits of a few of my beautiful brides I’ve photographed in New York City. This is the second time that Anhelo has featured me, last year they published a beautiful spread of Kara & Matt’s gorgeous wedding.